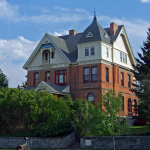 This historic mansion is perched high on a hill above the town, and was built in 1892. Locals have reported many strange occurrences, including a phantom lady in a beautiful white dress and a lantern that has been seen floating around the castle. 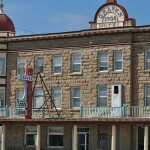 The building is open to the public, and people touring the building during the day have reported hearing ghostly laughter.